D-STAR or Digital Smart Technologies for Amateur Radio is a digital voice and data protocol used in amateur radio. I was tweeted a link earlier which shows how the RTL-SDR can decode D-STAR text messages and headers (link is in Italian but Google translate can help, and the pictures show more than enough information). 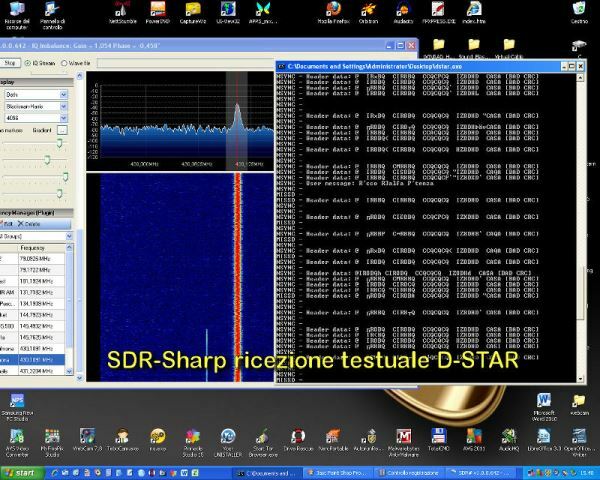 By using SDRSharp and stereo mix you can tune to a D-STAR signal, and pass the audio to a command line based decoding program (dstar.exe) which can be downloaded from the above link, which will then decode D-STAR text messages. Here is also an older video showing D-STAR decoding with HDSDR in action.